Tomato soup was a comforting lunch standard throughout my pregnancy. For the first four months, I wanted only the blandest version: a thin, brothy blend of tomatoes, vegetable stock, salt and pepper. But during the last trimester I craved something richer. 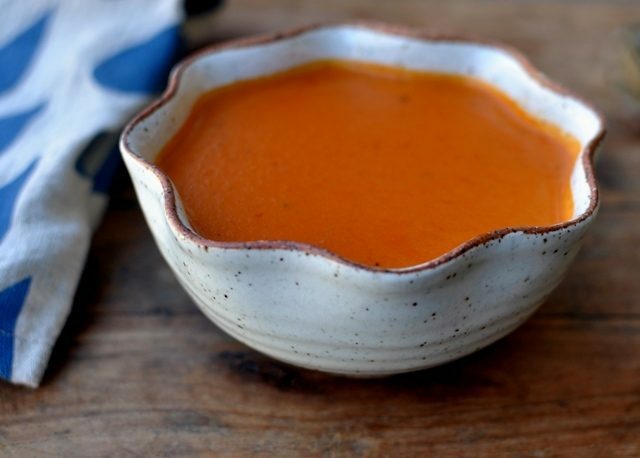 A number of web searches led me to this creamy tomato soup, which caught my attention because it calls for shallots instead of onions (I will always take shallots over onions) and it involves roasting the tomatoes with brown sugar. The roasting intensifies the flavor of the tomatoes, thus bolstering the flavor of the soup. I wish I had some of this soup in my fridge at the moment. I made a batch last week and it quickly disappeared while we were essentially trapped at home, all five of us, during a snow and ice storm that shut down Birmingham for several days. The city is up and running, but we (Jason and I) are currently in the zombie zone here at Chez Brouwer. 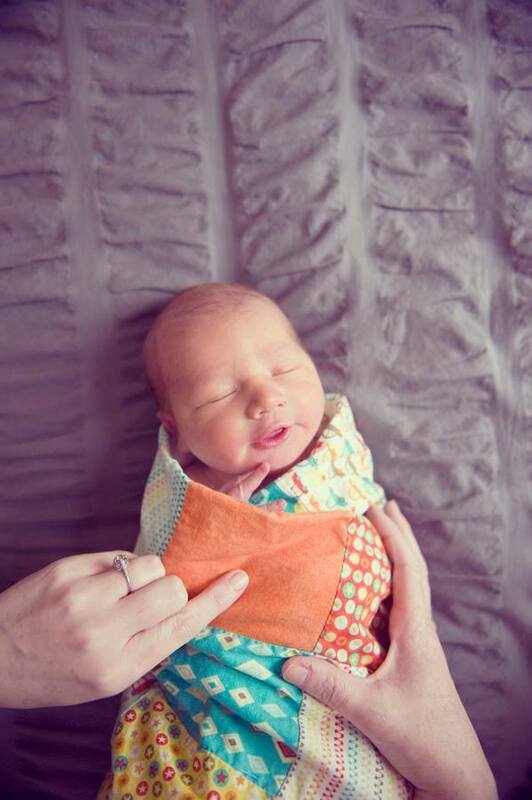 Our son, Maxwell William (sometimes “Wells” for short), was born three weeks ago. 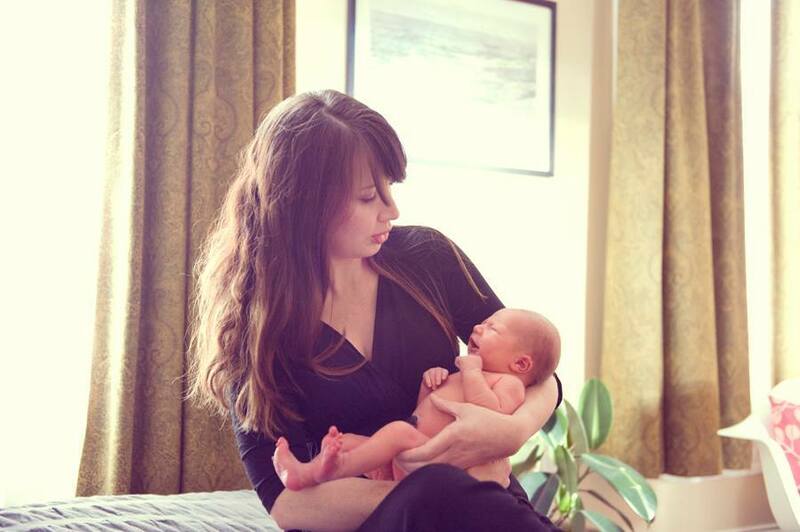 He weighed 8 pounds, 7 ounces and continues to be a pretty laid-back fellow, as newborns go. There is still much waking. Much eating. Much diaper changing. Much cuteness. 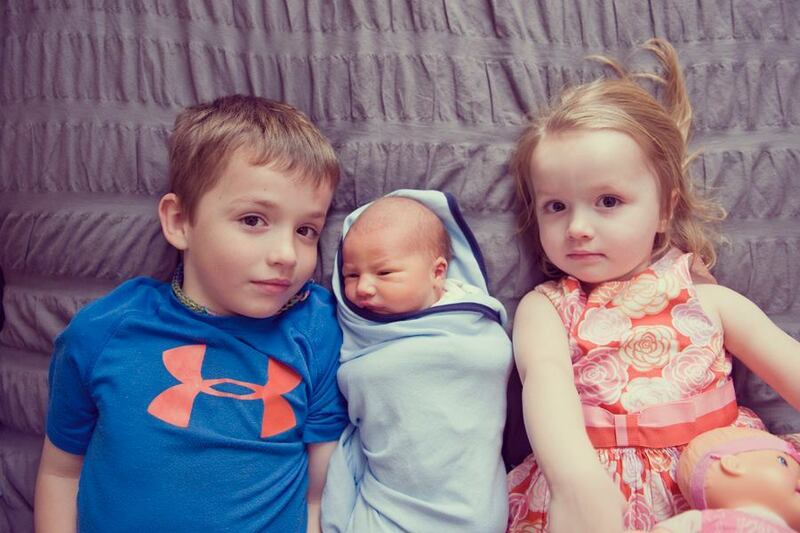 The older kids have fared well with the new addition. 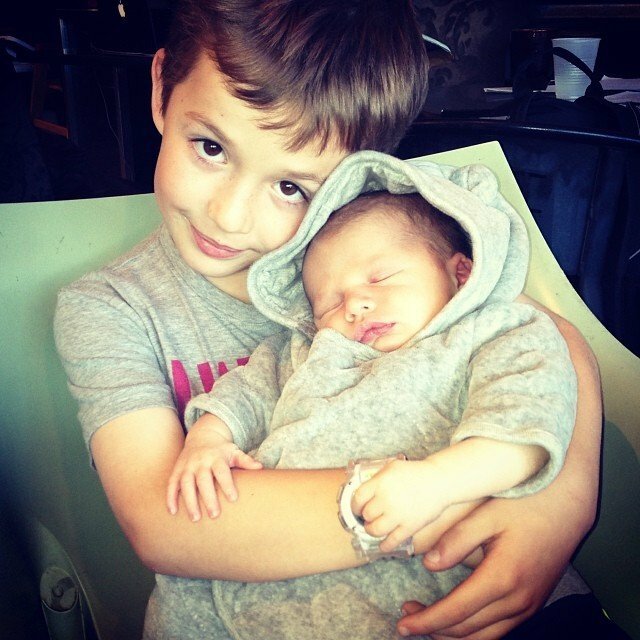 Walker loves to hold his brother (until he starts crying). Esme is kind to the baby but still adjusting (i.e. waking up 2-3 times a night, making it feel somewhat like we’re caring for two newborns). I have also returned to my day job as a grantwriter, so I’m navigating an ever-changing daily schedule that I expect to become more predictable as the weeks go on. Do stay tuned. More recipes are on deck for 2014. Up next: the best brownies I’ve ever made. Preheat the oven to 450 degrees F. Line a rimmed baking sheet with aluminum foil or parchment paper. Set a strainer over a large bowl. Working one can at a time, add the tomatoes to the strainer, letting the juice fall into the bowl underneath. With your fingers, open each tomato, scraping out the seeds. Set aside the juice. 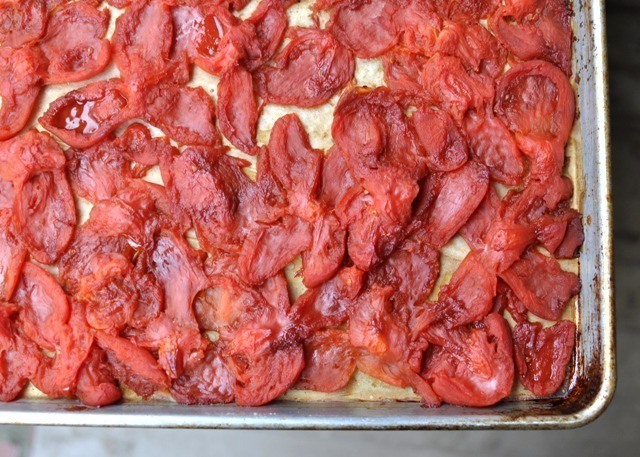 Spread the seeded tomatoes in a single layer onto the baking sheet. Sprinkle the brown sugar evenly on top. Bake until all liquid has evaporated and the tomatoes begin to turn color, approximately 30 minutes. Allow tomatoes to cool slightly, then transfer them to a small bowl and set aside. In a large saucepan (or large pot if you are doubling the recipe), heat the butter over medium heat until it's melted and foaming. Add the shallots, cooking until translucent and stirring occasionally, approximately 8 minutes. Stir in the tomato paste and allspice and cook for an additional minute. Add the flour, stirring constantly until combined, approximately 30 seconds. Slowly add the stock, whisking constantly to combine. Stir in the reserved tomato juice and tomatoes. Cover, increase the heat to medium and bring to a boil. Reduce heat to low and simmer, stirring occasionally, for 15 minutes. With an immersion blender, puree the soup until smooth. (Or, transfer soup in batches to a blender to puree, then return to pot.) Stir in the cream and cook on low for five minutes. Season with salt and pepper to taste. Add a pinch of cayenne (or more to taste). Serve immediately.